While others are studying the builds in the recent TvT games, I am actually more interested in the choices and transitions in general. The early game dynamic of the Terran mirror match has changed in Legacy of the Void. In my opinion, Terran mirror match has the most interesting early game of all the match ups in Heart of the Swarm. There is a range of competitive builds. Almost every unit can be useful. The flexibility of add-on switching makes the match up even more dynamic. Most importantly, how the different builds interact with each other makes the match up feel more refreshing and less repetitive. Although the newest expansion has made the game more action packed, the early game in TvT has become relatively one dimensional. The root of the “problem”, if you can even consider it as one, is the transition phase. You can categorise the match up into the usual three phases: early, mid and late. The best way to differentiate the phases is simply by identifying the mid phase, and anything before is early, and after is late. The mid game phase in Terran mirror is when both sides are building towards their main composition and getting upgrades at the same time. Given that mech is not popular in Legacy of the Void, I will focus on the comparison in Marine Tank. The main unit composition is made up of Marine, Tank and Medivac in both Heart of the Swarm and Legacy of the Void. Occasionally, there will be Vikings added into the mix depending on the situation, but the core is obvious. The early game of the match up involves heavily in getting units that are not used in the main composition. This is because some units (e.g., Banshee) are much more effective in small numbers and small skirmishes, and they shine in the early game compared to the main composition units. As the game proceeds, the scaling is slowly in favor of the main composition units when the economy and upgrade kick in. Therefore, there is a transition phase between early and mid game, whereby you stop producing early game units in favor of the main composition units. This early to mid game transition is a lot quicker and happens earlier in Legacy of the Void, and it indirectly removes the previously dynamic TvT early game. The difference is obvious when you observe the units produced in the early game. In Heart of the Swarm, Marine, Reaper, Hellion, Widow Mine, Tank, Viking, Banshee, Raven and Medivac are all used in the early game. Each of these units has an unique impact on the small skirmishes, which is both interesting and a sign of well designed match up. Occasionally, even Marauder and Thor are playable with proxy builds. The convergent point is similar to Heart of the Swarm, whereby you get 1-1-1 and expand at the same time. However, the add-on of the current set up seems rather fixed, because you want to get Tank and Medivac asap. 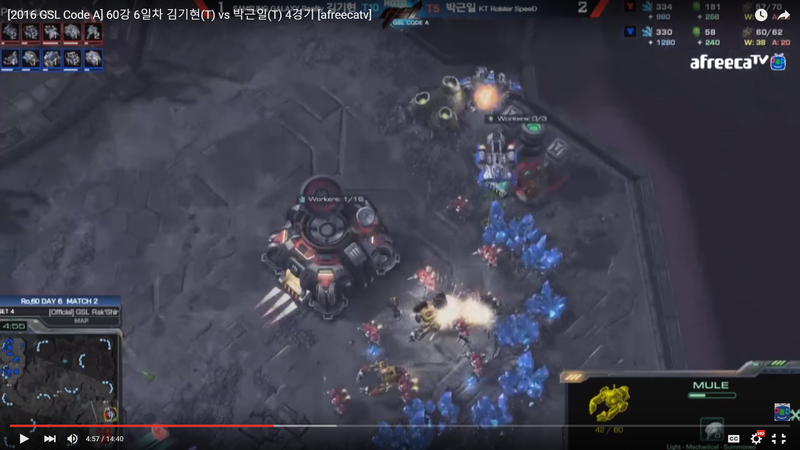 The recent GSL games between Reality and SpeeD showed just that. In the vod above, both players vary slightly in the opening with one getting a second Reaper, and the other gets a Hellion. But both put down a Tech Lab on the Factory to start Tank production. If you look at more games, the variations before this convergent point are minor and generally involve in reacting to multiple Reapers openings. For example, in the above vod, SpeeD did not go straight into Tank production when the Factory was completed, and a Hellion was produced first. This is likely due to the fact that Reality has shown two Reapers, and SpeeD was not certain whether this was a multiple Barracks Reaper opening. SpeeD would likely continue producing Hellions if he saw more Reapers. Other minor adjustments and variations revolving around potential mass Reapers and Tank Medivac transition can also be observed in other games. 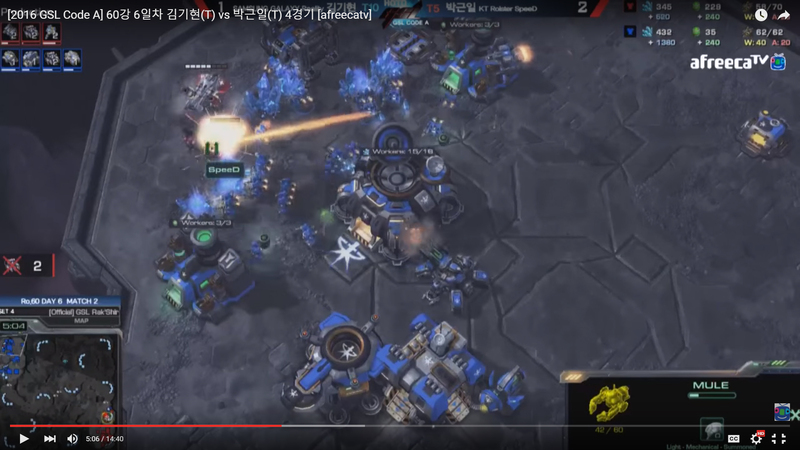 In the vod below, unlike SpeeD, Reality did not build a Reactor with the Barracks after two Marines and simply continue Marine production. This is due to the uncertainty of mass Reapers, which is a popular opening on Orbital Shipyard. It could be game ending if you do not have units to hold off the Reapers, while the Reactor is building. Another variation is the choice of first production cycle with Factory. Both SpeeD and Reality made a Widow Mine for a drop with Marine, before transiting into Tank production. The Widow Mine can be replaced with a Hellion for scouting purpose if you did not use a Reaper opening (watch the Bbyong’s choice in the vod below). In my opinion, Widow Mine is the best all-rounded choice for the first Factory production cycle, because of its early game impact. Is it possible to jump straight into Tank production? Yes, but the resource does not seem to line up as nicely, and Widow Mine is better against Banshee. Everyone was discussing about how Tank and Medivac change the match up in the Marine Tank mid game battle when Legacy of the Void was just released, but few have expected the combination to have that much of an influence on the early game and transition. Defensively, the combination is effective against early game damage investment like mass Hellions and drop. Along with the new resource system of Legacy of the Void, this indirectly discourages the early game interaction that I mentioned above. Offensively, the Tank and Medivac combination is effective in the early game, as demonstrated by Bbyong in the vod below. 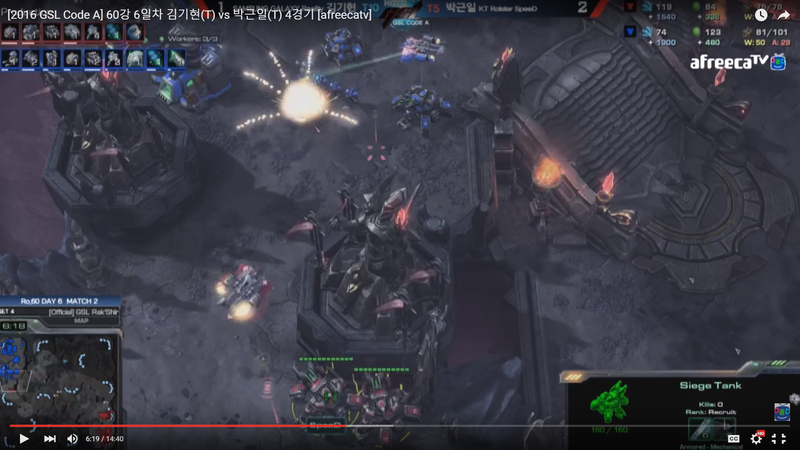 Bbyong went for an early Marine Tank Medivac push against the defensive set up of aLive. aLive’s build was arguably as defensive as you can get with the early Cyclone and Raven. Theoretically, the push should be shut down easily, but the Tank and Medivac combination can actually come out ahead against the Cyclone. If the Medivac is locked on, move it back and the Tank and Marine will be in range of the Cyclone. If the Tank is locked on, load it up into the Medivac then unload again. The trade was more even than what you would expect in an early push versus a defensive set up interaction. Going back to what I mentioned earlier about how the main composition of Marine, Tank and Medivac was not effective in small number in the early game in Heart of the Swarm, the Tank and Medivac combination is actually very effective in small numbers now. The fact that the combination is effective in small numbers even in the mid game, it warrants extra attention from a balance perspective. 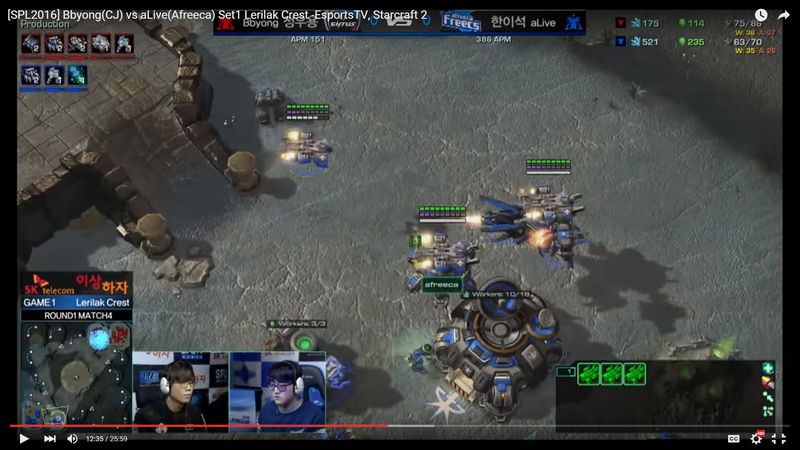 You can watch how SpeeD utilised a pair of Tank and Medivac in the mid game to limit the movement of Reality’s main army, while his own main army is manoeuvring elsewhere (timestamped the vod below). However, due to the effectiveness of Tank and Medivac, early Reactor Starport seems to have a place in the metagame in Legacy of the Void now. aLive has shown us that a sudden “burst” of Medivac production can result in great attacking potential. 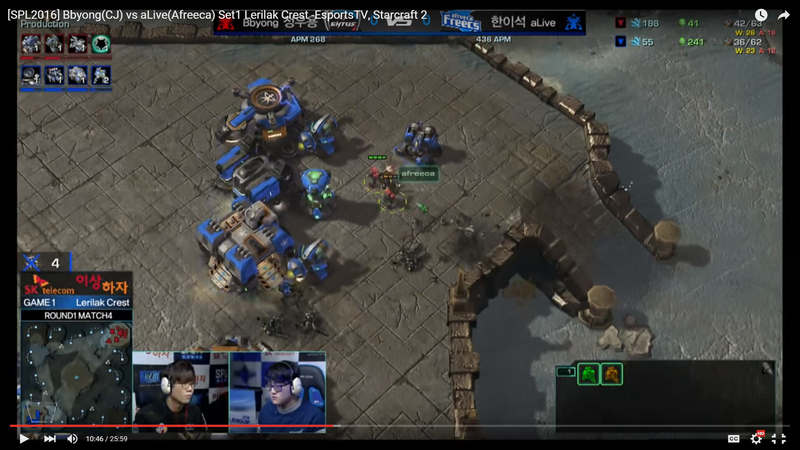 It is not a secret that the Tank and Medivac combination changes the Terran mirror match up, but it appears to have too much influence in early game and transition. While some feel that this is exciting, it seems too one dimensional in design and it is too strong that other options are clearly inferior. With that being said, I am not entirely convinced by Blizzard’s argument that Tank and Medivac combination is one of the reasons for mech not being used by the players. This is because we would have seen bio player’s Tank and Medivac outmanoeuvre the mech player’s relatively less mobile composition, if this is true. However, it does not appear that way in the recent bio versus mech game. 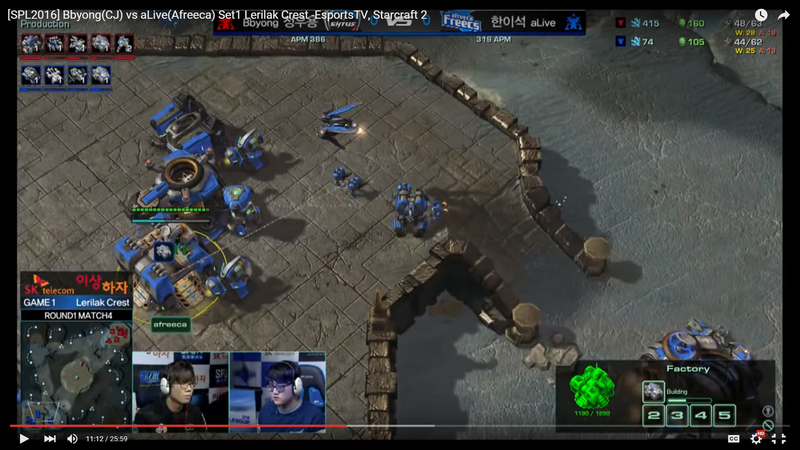 In the vod below, Keen opt to use a more direct approach against mech by getting Vikings and Liberators instead of a mobility approach with Tank and Medivac. Of course, it is a one-off game, so it is hard to conclude much from it. Given that the Tank and Medivac combination is becoming an important part of TvZ, it may become even harder for it to be adjusted. This is comparable to the use of Hellbat in TvT back in 2013, and it requires more than just a minor change to the unit itself. Overall, I am in favor of making minor adjustments to the current Tank and Medivac combination. Despite the fact that it seems to fall in line with Blizzard’s design concept of allowing players to make interesting play, it also contradicts the design metaphor of giving players options. Thus, this appears to increase the excitement factor of the match up, but it also decreases the influence of the strategy factor. As it stands, the game is getting deeper and deeper into the cognitive threshold zone, which may not be that appealing to many players. Just like to say dude that your content is awesome and I really like the new layout of your site. Excellent! The new layout fits the screen of those who play starcraft.